I think this is the first Friday evening when I have not been excited to sit down and give you another peak at my bookshelves. The reason? I’m in the middle of a new book, and I would really rather be reading. My internet connection was out all day, and I was secretly thrilled. It meant I felt a little less guilty propping the baby in her bouncy seat and getting back to Major Pettigrew’s Last Stand by Helen Simonson. However, since I have one of you to thank for this book recommendation, and I want to keep the good times rolling, here are three more books for your reading pleasure. Today, I’m giving you characters. When I read novels what I want more than anything – more than a great plot or beautiful language – is character. I want human beings who are so fully realized, so perfectly flawed yet sympathetic, that I struggle to believe they have been created out of nothing more than the alphabet. Cassandra Mortmain is a marvel of a narrator. She is the wonderfully awkward heroine of Dodie Smith’s 1948 novel I Capture the Castle . The incredible thing about this novel is that the narrator, who hovers somewhere between childhood and adulthood, does not know herself and yet she fully reveals herself to us. We have only her words, but we know things she is only slowly discovering. This novel is sweet, funny, and over-the-top in so many good ways. We have a crumbling English castle, first love, eccentrics around every corner, and poverty that is a little worse than genteel. Cassandra, like the story she tells, is a gem. Next, I give you a character who is much darker and more mysterious. He is a young, Irish police detective, and he is the narrator of In the Woods by Tana French. French writes what some have called “literary mystery thrillers.” Literary is a rather inadequate word, but what it should tell you is that French is an incredible writer. In particular, she has a gift for characters. Although the plot will keep you turning pages late at night (my life pretty much comes to a standstill whenever French publishes a new book), if you value plot (especially those of the neat and tidy variety) you may be disappointed. I think I love French’s books because, though they are atmospheric and wildly creative, I find them to be more honest than most mysteries. French gives us compelling characters and page-turning stories, but she does not pretend that all mysteries can be solved, that all questions can be answered, or that the past can always be known. I am always amazed that one small island can produce so many gifted writers. Here is another: the Irish writer Colm Toibin. Brooklyn: A Novel is told by Eilis Lacey. She is a young woman who has grown up in a small Irish town just after the second world war. Sponsored by a priest, Lacey leaves her family and goes, alone, to make a new life in America. This is a quiet book. Beginning it, you may find it too easy to put it down and forget to pick it up again. Don’t do this: you are in the hands of a master. Turning pages you will begin to care for Eilis, you will see the world through her naive but curious eyes, and you will know, having turned the last page, that you have been richly rewarded. Tell me, who are the characters you especially love? You can find earlier recommendations here: week one, week two, week three, week four, week five, week six, week seven, and week eight. 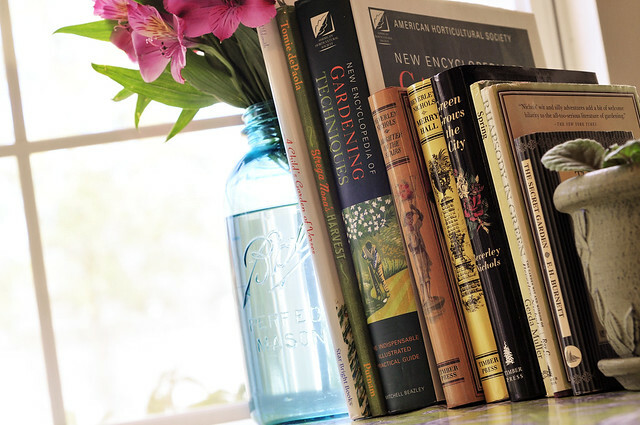 Hi Christie, these farmhouse bookshelves are quickly becoming my favourite weekly posts. 🙂 I love I Capture the Castle and enjoyed Major Pettigrew too. I see Tana French recommended everywhere so I think it’s definitely time I tracked down one of hers and got stuck in! Is In the Woods the best place to start? I’m so glad to hear it, Adele! Yes, if you’re interested in French’s books definitely start with In the Woods. You might even find it labeled as #1 in the Dublin Detective Squad series (or some such name). I also really love the second book in the series – I think it’s called The Likeness. oh I loved ‘I Capture the Castle’! Right now I’m reading Mary Doria Russell’s ‘A Thread of Grace’ and loving it if at times a little lost in the sheer number of characters. Yes, loved the Hedgehog. Those others are new to me – thanks! One of my favorites totally surprised me – it was the main character from The Tenant of Wildfell Hall by Anne Bronte. I’m ashamed to say that it has been so long since I’ve read it that I can’t remember his name. Maybe I should go and read it again….. anyway, I had no idea what to expect, and read it straight after reading Wuthering Heights (which I did not care for at all.) I was caught up in the love story (a genre that I also don’t care for) but this book was exquisite!